Question: How do I request a log in? Answer: Contact your Ram Tool Outside Sales Representative and tell them you are interested in purchasing from Ram Tool online. We will then process your request and assign you a Ram Tool log in. Question: How do I log in? Answer: Once you have received your log in credentials (user name & password) go to "ACCOUNT SIGN IN" Here you will enter your email address (user name) and your password. Then click "LOG IN"
Question: How do I add a user to my online account? Question: Why is "Payment on Account" my only choice of a payment method? Answer: Your online order will be put on the account that you already have set up as a Ram Tool Customer. For more specific details please contact your Outside Sales Representative or call Ram Tool Customer Service at 1.888.RAM.TOOL. Question: What states does Ram Tool Construction Supply Co. charge tax in? 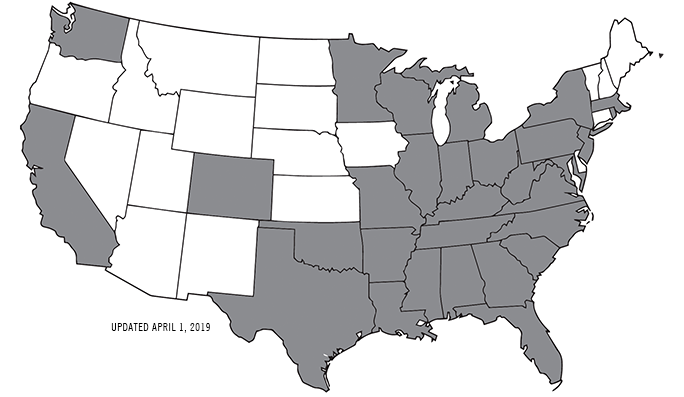 Answer: Ram Tool is a registered retailer in the following states and must collect sales tax on all items sold unless provided with a valid exemption. Please check back for updates or call the sales tax department at 1-888-RAM-TOOL for any questions. We collect taxes in the following states: Alabama, Arkansas, California, Colorado, District of Columbia, Florida, Georgia, Illinois, Indiana, Kentucky, Louisiana, Maryland, Massachusetts, Michigan, Minnesota, Mississippi, Missouri, New Jersey, New York, North Carolina, Ohio, Oklahoma, Pennsylvania, Rhode Island, South Carolina, Tennessee, Texas, Virginia, Washington, West Virginia, and Wisconsin. Question: What is a Project Source List (PSL) and how do I use it? Answer: A Project Source List is a tool that has pre-determined products that are typically purchased together for specific types of jobs. This can be used by selecting the list that best suits your needs and then adding the desired quantities for the items you wish to purchase. All of the items that you assign a quantity to will be added to your order, and the ones you leave blank will not. Answer: Click on Account Sign In. Select FORGOT PASSWORD then enter the email address associated with your account. Click SUBMIT. An email will be sent to you to reset your password. Answer: You can see the status of your order by selecting "Account" and then "Order History" when you are logged in to our system. If you need assistance please call Ram Tool Customer Service at 1.888.RAM.TOOL. Question: What is commodity pricing? Answer: This material is subject to fluctuating costs due to supply and demand in the market. Commodity pricing means that our prices change daily, and you will be contacted by a Ram Tool sales representative to verify your pricing before your order is processed and shipped. If you need immediate assistance please call Ram Tool Customer Service at 1.888.RAM.TOOL.